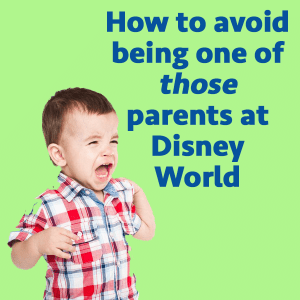 I've witnessed some pretty bad behavior by parents at Disney World, so I have some tips for you today to help you prevent easily avoidable meltdowns. I also have lots of recent news, and a quick tip of the day. If you have a non-Disney World question about websites, podcasts, business, personal stuff, etc., please leave me a SpeakPipe message and I'll put them together for a show at the end of the year. You can do that by downloading the SpeakPipe app or using your computer at https://www.speakpipe.com/WDWPrepToGo. Make sure you have water at all times. Plan regular bathroom breaks, and have everybody go each time. Take nap/rest times as needed. Focus on having fun, not doing everything. Stay flexible - re-ride rides, do things you hadn't planned on doing, etc. Disney World gift shops and the Shop Disney Parks app have free shipping through November 22. Captain EO's last show will be on December 6. 3D Pixar movie shorts will be arriving in its place. Colortopia is now open in Innoventions and includes interactive exhibits that should be fun for little ones. Star Tours now has a new sequence from The Force Awakens. Create a shortcut to a handy link by opening the URL in your phone browser, clicking the arrow at the bottom and selecting "add to home screen." This will add the link as an icon. We have found the carousel of progress to be a good napping spot, as well as hallways in Innoventions East. Thank you for the wonderful podcasts they are so helpful! This is actually my husband’s tip for dealing with our 4 year old, who wants everything he sees at stores. We hand him one of our phones with the camera open. He can take pictures of everything he wants and that usually satisfies his need. We discuss that he can pick from the pictures what he may want for an upcoming event (birthday, christmas, etc). He will often ask to look at the pictures later and then forgets about them within a day or two. It works great, no fits over not getting a toy and some pretty funny pictures taken by a 4 yr old! We just did a trip with a 1 and 4 year old and, overall, avoided being “those” parents by following Shannon’s advice. Being flexible is really important! My 4-year old loved (really loved) the People Mover and, surprisingly, the Carousel of Progress. We rode the PM 4 times and CoP 2 times. Also, he adored Magic Kingdom! We had planned 2 days at MK and 1 day at each other park. I made lunch ADRs at Tusker House and the best FP+ for Animal Kingdom, but canceled them about 24 hours before and opted for a 3rd day at MK instead, so he could ride everything he loved one more time. We didn’t get any table service reservations for MK or good FP because of the short notice, but it ended up being one of my favorite days because we had no real plans and just did what he loved! Thanks for the podcast. I love how you always help us parents of small children prepare for all potential situations. On our first family trip to WDW last January, I did try to use your afternoon break tip. But it was very challenging. One early afternoon in particular, we waited for 45 minutes for the Art of Animation bus. And it wasn’t even crowded – it was us and one other couple waiting the entire time. That was the longest wait of our entire trip. So, after walking to the front of the park, waiting for that bus, and then riding to the hotel and walking to our room – it was 1.5 hours just to get to the hotel. I would love to hear more about how families can take an afternoon break in a way that doesn’t ruin a good day (that was not a great moment for our four young ones, but we tried to keep it fun). I’m thinking there are lots of ways that people take successful afternoon breaks, I would love to know how people do it. Or maybe they all stay closer – like at the Contemporary? We ended up using shows and table services as breaks because we just couldn’t seem to make it work another way. Please consider a podcast about this maybe in the future? Everyone advises breaks, but no one really says how to make them work. Thanks for all your great tips. Every other bit of our trip was amazing because of your advice. Already planning the next one! I’m not sure that naps for young kids work as breaks. I just did a week with a 1 and a 4 year old. The 1 year old normally naps around 12:30, but rarely made it past 11 am because of all the excitement. 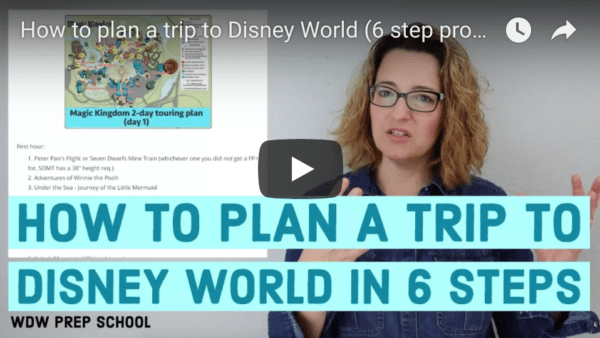 The problem is to get back in time for that kind of nap – with upwards of an hour (sometimes plus) for Disney transportation, we would have had to leave the park about 1 to 1.5 hours after arriving. That didn’t make sense financially and wasn’t fair to the 4 year old. So, we had two strategies. For Magic Kingdom, because we stayed close at Wilderness Lodge, my husband and I swapped who would leave early with the baby and who would stay with our older son. On non-Magic Kingdom days, a nap in the hotel wasn’t an option because the buses took so long. We let him nap in the stroller (rental from Kingdom Strollers) and crossed our fingers. On those days, we just left the park early around 3ish and never returned. The transport time between the resort and parks is just too much with very little kids to envision going back and forth every day to each park. Best of luck! Good advice, thanks. We are actually going to try Wilderness lodge this time. Glad to hear it worked well for y’all. Just like adult traveling companions can get sassy, and letting him/her express and move on can work better than engaging, sometimes you need to standby and let the toddler tantum. We just had our first toddler trip and found letting and have 30 seconds on the ground at Magic Kingdom one day resulted in him pulling it together on his own standing up and being ready to go, even though we probably got the stink eye from a lot of other parents! And a hundred percent “Yes” to honoring routines and flexibility! At this point our primary plans are really just a backup. If we keep to 50% of what we think we’re going to do that’s a success. Love your podcast and all your tips. My tip on dealing with kids at WDW is “Children learn what they live” If the parents are acting stressed and crazy, the kids will respond in crazy and stressed as well. Trying to stay calm and patient (although difficult ! ) goes a long way keeping kids calm.